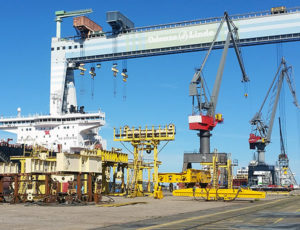 Euro-DK Service A/S offers various welding and fitting work for the off-shore industry. Off-shore welding for oil, gas and wind industry. 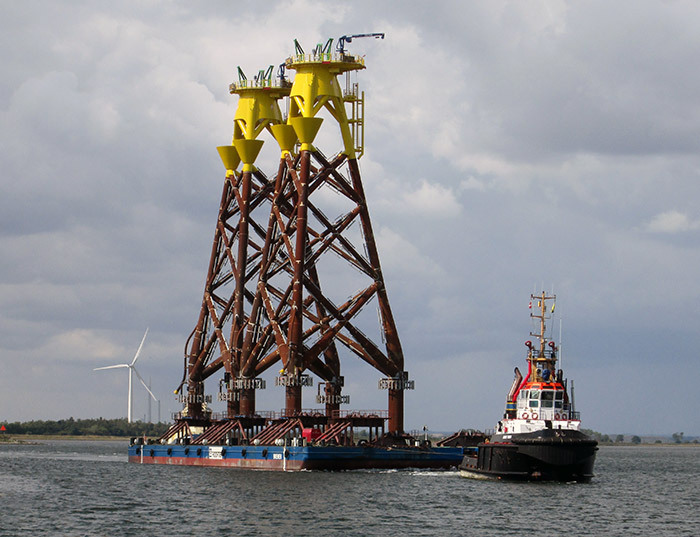 Off-shore gas and oil platforms, wind turbines, foundations for off-shore structures are among our specialties. Welding and assembly as well as repair and disassembling of structures and machines are something we can offer. Off-shore drilling represents a working process, where a well-bore is drilled below the seabed. 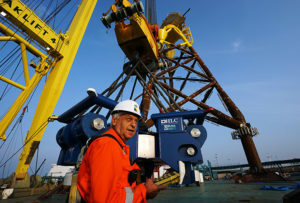 It is a typical way to explore for and subsequently extract oil or gas, which lie in rock formations beneath the seabed. Most commonly, off-shore drilling is carried out on the continental shelf, though it’s also possible to drill in lakes, inshore waters and inland seas. There are many different types of facilities from which offshore drilling operations take place. These include bottom founded drilling rigs, combined drilling and production facilities such as bottom founded or floating platforms, deep-water mobile off-shore drilling units such as semi-submersibles and drill-ships, etc. These facilities have to be capable of operating in very deep waters and have to be constructed from very durable materials. Welding such constructions imposes huge challenges and requires uttermost excellence and precision. The welding constructions should be capable withstanding long-lasting strong deformations and constant climate challenges. Euro-DK Service A/S face these kinds of challenges every day, as we provide irreproachable flawless service to our clients. We are under constant development and keep in step with new rising demands of the off-shore industry. Off-shore drilling presents environmental challenges, both from the produced hydrocarbons and the materials used during the drilling operation. Euro-DK Service A/S maintains the highest standards in respect of environment and nature. Our specialists work continuously on improving the welding techniques and to keep them in accordance with the modern demands for sustainable and ecological industry. Off-shore wind energy or wind power is one of the new modern sources of sustainable power for our civilization. 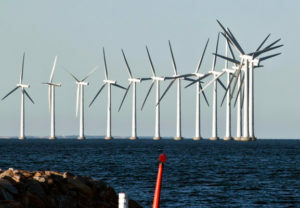 Wind towers or whole wind farms are being constructed off-shore in many countries. They are usually built on the continental shelf to harvest wind energy to generate electricity for the neighboring cities, as well as to be transported to other regions. Placed off-shore, the wind turbines harvest stronger wind speeds compared to on land winds, and thus electricity supply is much higher. 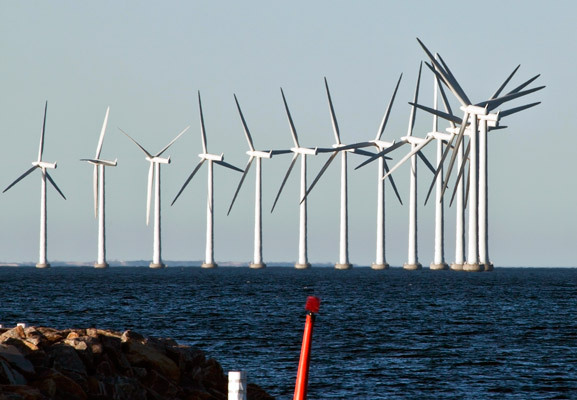 However, off-shore wind farms are relatively expensive and call for sophisticated engineering solutions. 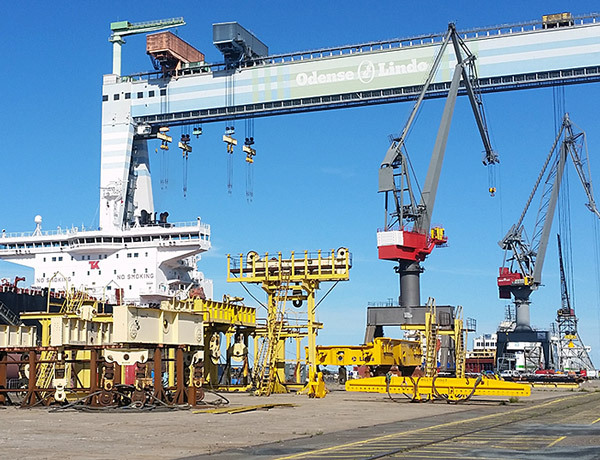 Euro-DK Service A/S is involved in this process as our welders respond the growing demand for high qualified workforce in construction and reparations branches.